The path to efficiency is paved with innovation. At Volvo, fuel efficiency is a vital part of our commitment to your business and, ultimately, to the planet we all share. That’s why we’re constantly challenging ourselves to find new and improved ways to make Volvo trucks the most fuel-efficient trucks on the road. Fuel efficiency is more than a single feature; it’s a combination of customized solutions working together in perfect harmony. 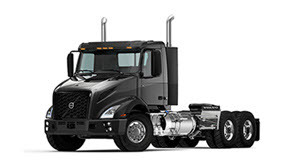 The result is fuel efficiency custom built to cut your operating costs. 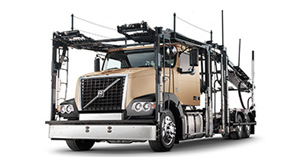 In preparing for EPA regulations, Volvo saw not an obstacle, but an opportunity. 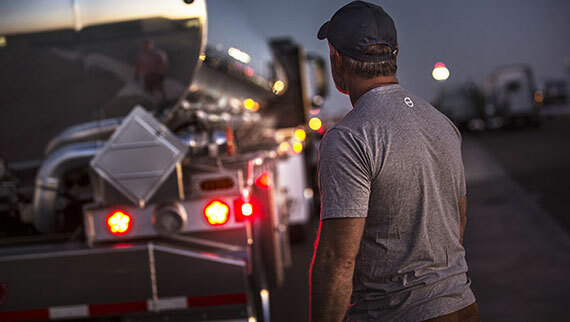 Rather than the typical responses that impede performance, Volvo chose instead to employ innovative technologies that reduce power losses and improve efficiency, optimizing power wherever possible. Performance runs in the family. Volvo’s full family of engines is built on a foundation of proven, developed architecture that leverages innovative hardware to maximize performance and efficiency. Volvo has made the industry’s most advanced automated manual transmission even better. 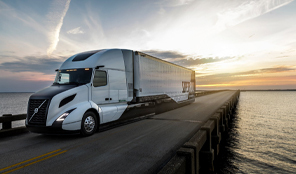 The latest edition of the Volvo I-Shift transmission includes upgraded hardware and software, greater durability, and a new countershaft brake for improved performance and smoother, faster shifting. 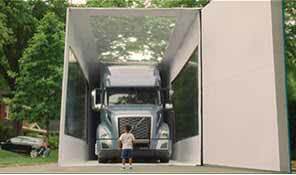 Combine the Volvo I-Shift transmission with an intelligent cruise control and you get I-See predictive cruise. It’s a unique system that learns the topography of the road for greater fuel savings. Extreme fuel efficiency. Great drivability. The award-winning eXceptional Efficiency (XE) packages show Volvo’s commitment to efficiency without sacrificing performance. XE isn’t a single fuel-saving feature; it’s a completely customized solution that perfectly matches your vehicle and powertrain settings to the needs of your business. 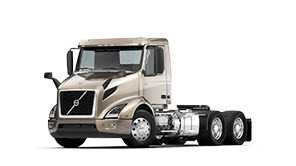 It all starts with choosing the right Volvo engine and matching it with I-Shift. Then we help you choose the optimum efficiency package based on your application. Together, these factors can help you save up to an additional 0.2 mpg or more. That can mean savings of as much as $2,000 per year, per truck. A lift axle solution for 6x2 tractor configurations is perfect for regional applications. Volvo’s Adaptive Loading is designed to help trucks run at peak fuel efficiency and performance every mile of every haul. It senses weight differentiation and automatically lifts the axle to reduce friction and save fuel with lighter loads. 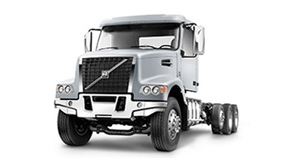 For applications operating primarily at cruise speed, Volvo’s D13TC uses turbo compounding to recover lost energy and save fuel. By employing a secondary exhaust turbine downstream of the main turbocharger, the normally lost energy is routed to the flywheel, recovering as much as 50 hp and helping to improve fuel economy by up to 6.5% compared to our previous generation of powertrains. 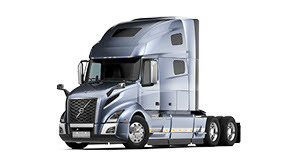 The unique design of Volvo’s common-rail fuel system delivers multiple benefits. Finer control allows quicker, more accurate fuel injection for improved fuel efficiency, while a clean installation improves reliability and dramatically reduces engine noise.